Introducing our New Student Heads! 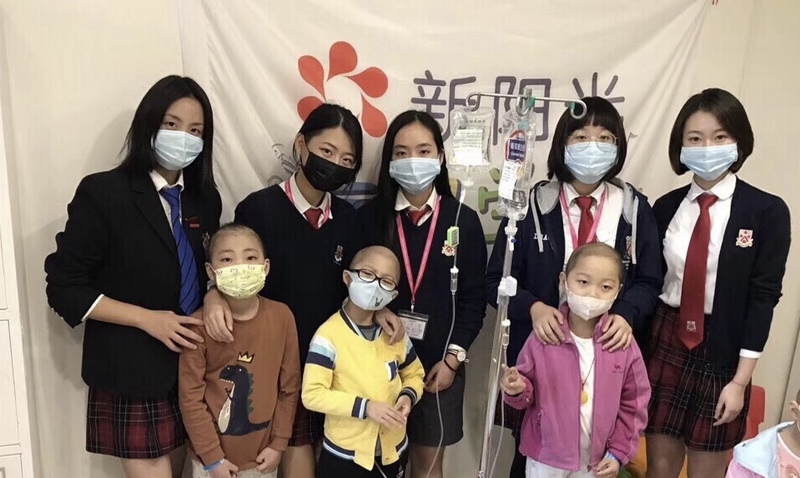 The student council at Dulwich International High School Suzhou is a student leadership organization that is responsible for organizing student activities such as managing and supervising student-led co-curricular activities, and promoting student body autonomous management. The new student council presidents are ambitious and confident in practising their plans. They are: Head Boy Augustus M and Head Girl Flora W, Deputy Head Girl Valeria L, and Deputy Head Boy Mason W.
Why join the student council? Valeria and Mason both joined the student council because of a role model – Nicole Z, who graduated in 2018 and went to Cambridge University. 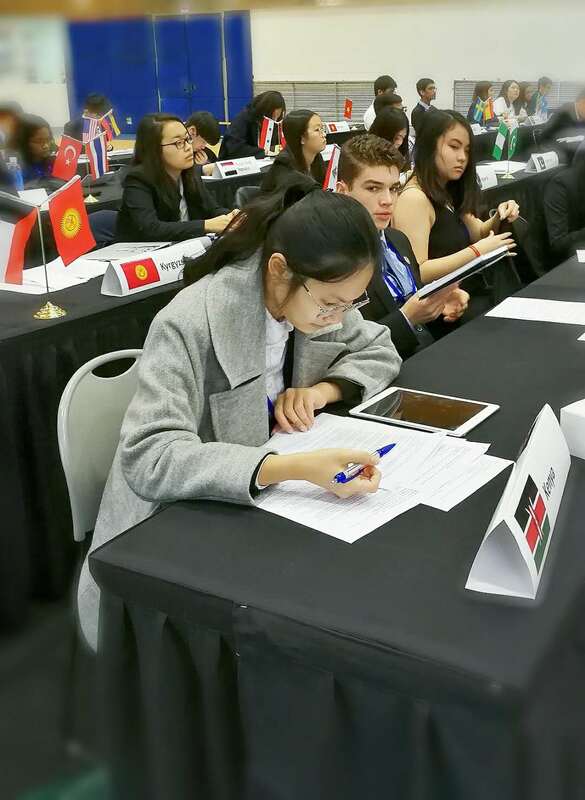 Valeria said that she had met the former Head Girl Nicole in a Model United Nations meeting, and she really admired Nicole, so she wanted to follow Nicole’s footsteps and join the student council. Mason met Nicole in a math contest, and he also admired her academic excellence and leadership skills, so he joined the student council as well. 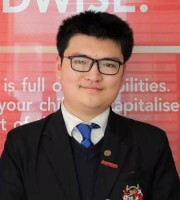 Augustus said that he hopes to bring changes to the school, enhance the relationship between teachers and students, enrich student life, carry out internal reforms for the student council, and make student’s voices heard. He is also very happy to find that the school leadership respects and supports students' ideas. Flora said that there are many opportunities to demonstrate her ability in Dulwich. She wants to seize this opportunity to join the student council and prove herself. She also hopes to improve the happiness index of the students at school. What is the process for running for student head? They hope to promote the reform of the student council and improve the vitality of the team. They hope to clarify what everyone should do through the internal grouping of the student council. 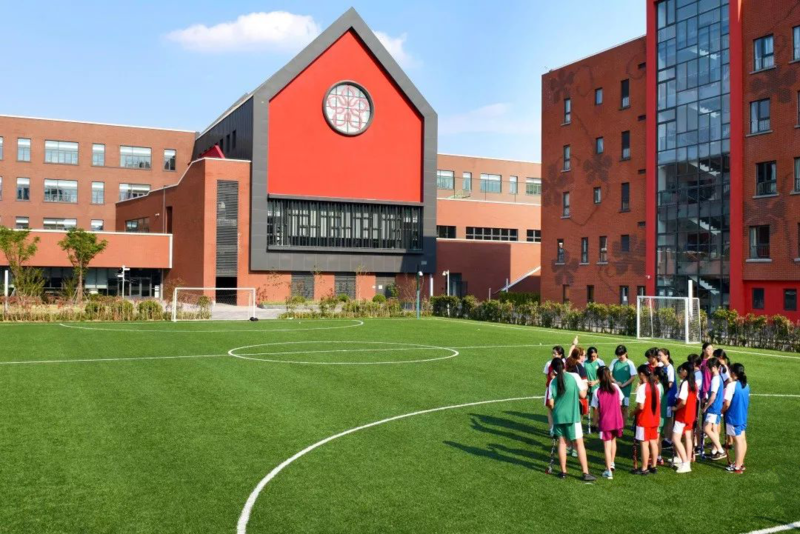 They hope to strengthen ties with Dulwich College Suzhou next door and organize student activities together. Flora is a confident public speaker with a strong managerial and leadership style who has served as a charity leader before. Valeria is a highly academic girl. 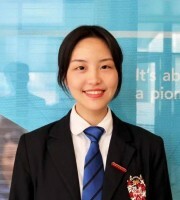 She has achieved 9A*s in the IGCSE global exam. In person, she is a girl with an infectious smile and a positive can do attitude. Mason is responsible and down to earth. 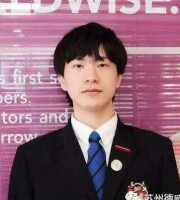 He is also the vice-captain of the school table tennis team. Augustus prepared a detailed plan to reform student-led co-curricular activities during the interview with the school leaders. He is able to express his ideas clearly and has previous experience of serving as a school leader in Junior school. 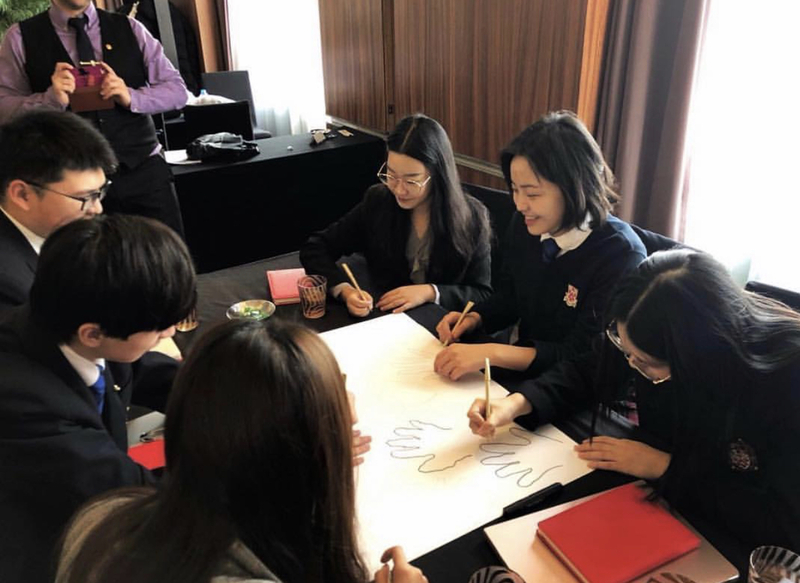 On 17 January this year, the new student council presidents participated in the Student Leadership Conferences with all eleven Dulwich schools in Shanghai. This conference allowed them to learn a lot and communicate with native speakers of other schools. They felt the gap between their English language ability and that of native speakers. So they realized that it is very important to improve their English ability. 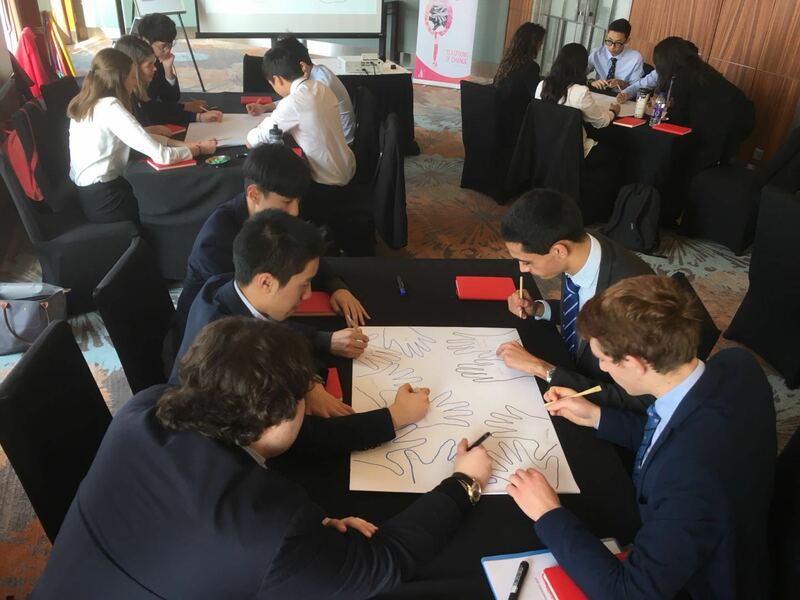 When they communicated with student heads from other Dulwich schools, they also learned some ice-breaking skills, which will be applied in the student council activities in the future; they also received the guidance of professional teachers and learned how to improve their public speaking skills through body language and other aspects. The four student heads have held student leadership positions in junior high school, laying the foundation for their role as a student head in Dulwich. Although they are not going to take office until this year's Founder’s Day, they are eager to start their work. They often meet together to discuss student work and are very confident that they can make a difference in the school. Augustus came from Nantong. He chose to come to Dulwich because a son of his parents’ friend Peter L was one of the first graduates of Dulwich. Peter went to Sciences Po in Paris and later entered the OECD (The Organisation for Economic Co-operation andDevelopment) SME and Venture Innovation Department to do a project research internship. Because of Peter, Augustus thought highly of Dulwich and he hoped to study here. Valeria came from Yixing, Wuxi. She had applied for two schools. After coming to Dulwich, she quickly fell in love with it. She liked the facilities and the atmosphere, so she did not hesitate to choose Dulwich. 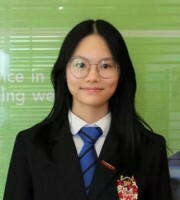 Flora is from Xinghai Middle School. She thinks that Dulwich is very different from the public high school. 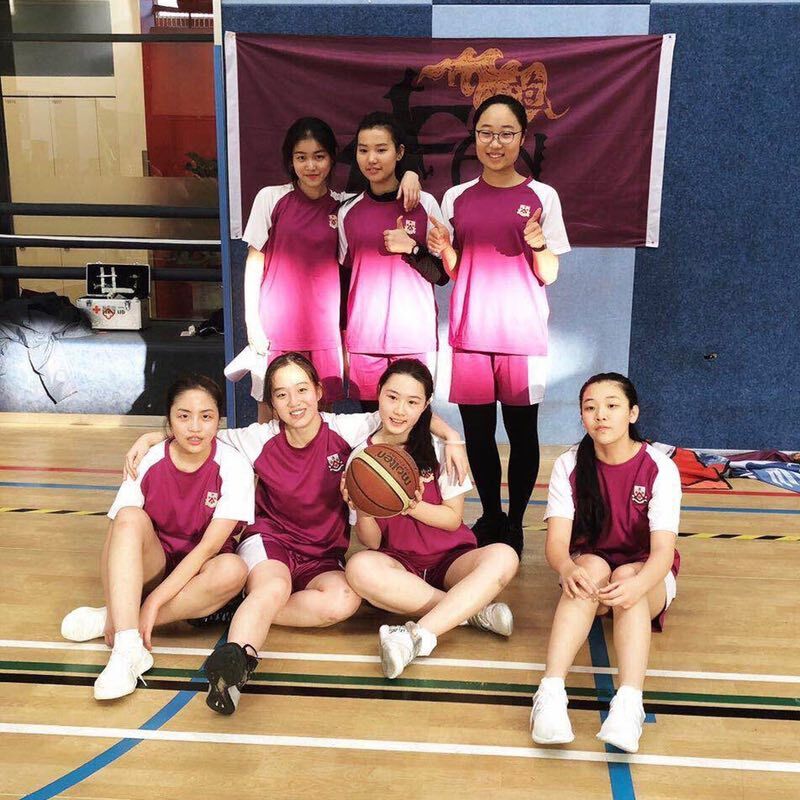 She likes the pure Western education, and academic is not the only thing the school focus on, co-curricular activities and sports are also important aspects of student life. Flora is a sports all-round student: she joined the school basketball and volleyball teams, and competes in lots of sports games. Therefore, Dulwich was her best choice. Mason is from a public school in Suzhou. He chose Dulwich because of its pure Western holistic education that drives students intrinsically. Self-study is very important here, and students are motivated to study on their own. At Dulwich, teachers respect students and encourage them to express their own opinions. Referring to the teachers to appreciate, they mentioned two math teachers, Mr. Crozier and Mr. Mckelvey. Their lectures are very clear and full of humour, and they encourage students to learn on their own. The computer teacher Ms. Monga is very contentious and encourages them to learn. There is also the chemistry teacher, Mr Lam, who doesn't only care about students academically but is also very concerned about their wellbeing. Augustus said that one time he mentioned that he would have a meeting during the lunch break, and Mr. Lam bought him lunch and told him he didn’t want students to have meetings with an empty stomach. Prepare for activities and projects as early as possible. Go to a variety of activities, especially sports and competitions.